Scroll Down For More Houses. > Click Here: Baan Rung Nok 17 "Birds Nest House"
Click for more info about RBC! Our highly rated community of privately owned homes is nestled in a tropical paradise. Flanked by soaring limestone cliffs we are only accessible by boat and sit on one of Thailand's most beautiful beaches. It sets in front of half of the magnificent west beach of the Railei peninsula over a land of 7 hectares - 17 acres. Yet, there are only 24 houses and 9 private guest wings available, they are all seafront or less than a 150 meters level walk from the beach. 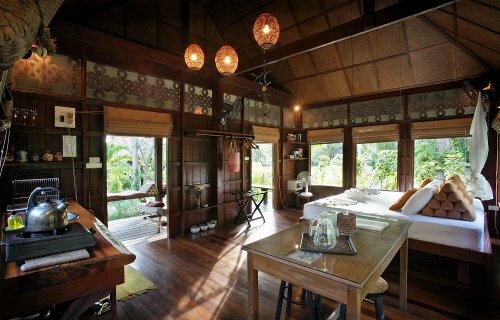 Each house shares traditional Thai design elements but has its own characteristics. Our homes are completely open to the surrounding natural environment and all rooms have fans. They range from one to four bedrooms, sleeping two to eight people. We also have three rooms available to rent in the Club House. All of the houses have open-air fan rooms, and only 6 properties have air-con, in the bedrooms only. There is a strict maximum occupancy of 8-guests per house, and a 3-night minimum stay policy in high season. From December 20th to January 5th, we request a 7-night minimum stay. Year round, we enforce a quiet time after 11pm. For your comfort we ask our guests to respectfully observe this request for no loud music or voices after this time. Massages, private house chefs, grocery shopping to your order, kayak rentals, beach chairs, fresh drinks, and ice, etc. are also available. Come enjoy, relax and experience the natural beauty and wildlife here at Railei Beach Club. You simply can't find anyplace else like this! It was two explorers with an interest in nature who found "The Beach" back in 1985. They realized that this would be an eminent place to contemplate life and what is more, they also realized it could easily be a lonesome place as there was not a single dwelling on either side of the peninsula. So, they set out with a few friends with whom one could shoot the breeze at sunset. Hence, like-minded souls among their friends were offered a slice of paradise and a "Club House" was built to accommodate those who had not yet built their own. 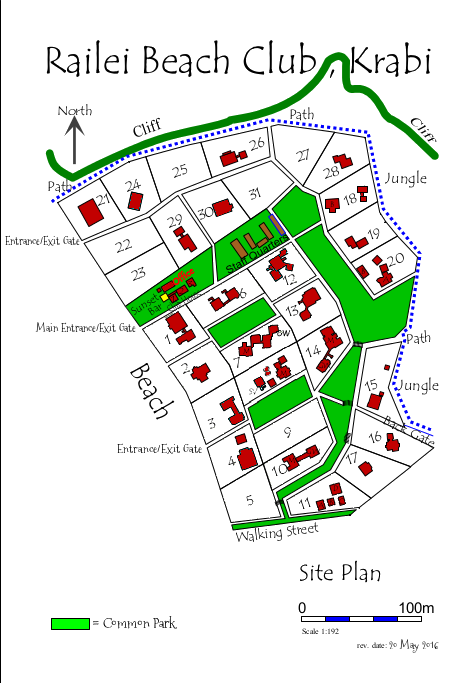 Homes were constructed by a colourful character named Chang Thai, and in those days, quality wood was still available. The hippie community of world travelers had also discovered the beauty of the place and a few simple but terrific restaurants sprang up along the beach. Over time the character of Railei community has, of course, changed. Everybody wants development, but nobody wants change. We see more tourists and hear more boats, but we have better comfort, services, fancier restaurants and an airport. To many, Railei Beach Club hasn’t changed much in 20 years and has preserved its spirit , beautiful nature, wildlife, huge space and privacy. Come and enjoy as the owners have chosen to rent their homes and share this slice of paradise. Daily light housekeeping is included in the rental charge. In consideration of our environment, bed linens and towels are changed every 3-days, and we do not supply beach towels. We do sell sarongs at the office. We do not have a restaurant within the RBC property, therefore the rental rate does not include breakfast. We do have a great sunset cocktail bar located at the clubhouse, open from 5.30pm-8.00pm serving up delicious Thai-jitos and Passionfruit margaritas. All of the main houses have fully furnished kitchens with cooking facilities and utensils. The guest wings have kitchenettes with mini-fridge and sink, but no cooking facilities. Club House Rooms 1 & 2 do not have cooking or food storage facilities. Our staff try to make each house and the surrounding grounds as comfortable and welcoming as possible, in order to make your stay with us relaxing, enjoyable and memorable. Free Wifi, Coffee/Tea are provided. Our 34 on-site staff are here to assist you during your stay. Office hours are from 8am-6pm November through April, and 8am-5pm May through October, therefore, we request our guests to check in within these hours. We can arrange transport to/from the Krabi and Phuket Airports, Krabi town, and other areas. The office is also able to book massages, food shopping and cooking dinners. If your house has a problem or you have any questions . . . just ask! 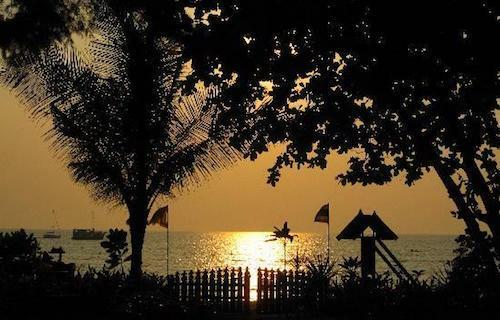 The RBC Sunset Bar is located on the Club House deck with prime views of the Andaman Sea and nearby limestone cliffs. The bar is for RBC guests and owners to come relax, meet one another and enjoy the magical sunsets of Railei West. Special events excluded, Bar time is 5:30-8:00 pm. Our Thai-jitos and passionfruit margaritas are the house specialties...as well as great music! 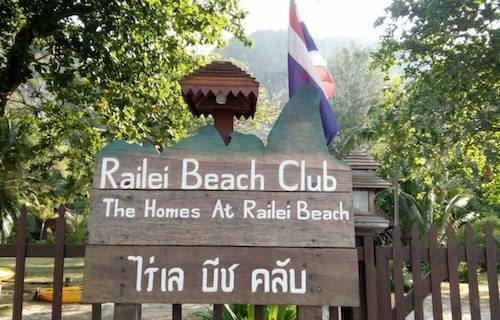 Railei Beach Club does not have a restaurant on property. However, there are plenty of resorts and small restaurants steps away on Railei West and East that offer a variety of Thai and Western food. Only basic food supplies are available for purchase at the mini-marts on Railei. There is a fresh food market, the largest in Southern Thailand, in Krabi town every morning 4-11am. This is a "must see" for food and market lovers. Our office can arrange to have shopping done for you the day of your arrival, we can email you the list in advance, or anytime during your stay. There is a fee for this service, depending on the size of the order. On the day of your arrival, if your flight arrives before 3pm we can arrange for the taxi driver to bring you to a Supermarket (Makro is cash payment only, they do not accept credit cards, ATMs available) for food shopping before you reach the long-tail boat. This service is highly recommended for those guests who need to find specialty items or those intending to buy large quantities of food. The charge is 600Thb/hour, 1-hour minimum. PLEASE NOTE....it is not necessary to buy bottled drinking water before you arrive, we have drinking water supplied in all houses and rooms here. We have a great selection of wines for sale at the office... Rose, Whites, Reds and Prosecco! We also have a beverage fridge located at the office, with an honor system during office hours, at which you can help yourself to beers, soda, tonic water, soy milk, and bottled water. Around Railei Peninsula you will also be able to find coffee shops, bars, mini-marts, internet services, fax, travel/tour agencies, ATMs, international phone service, climbing and dive shops, movie/music shops, tattoo shops and more. El, our massage therapist can come to your house to give you a Thai, Oil or Foot massage for one hour at a time. Drinking water is complimentary. It is not necessary to buy bottled water. Free coffee, tea - sugar, and powdered cream/milk in-house. From Bangkok, Kuala Lumpur and Singapore, the quickest and easiest way to reach us is to fly directly to Krabi International Airport. If you fly into/out of Phuket International Airport, you will need to make an additional transfer either by ferry, speedboat or car taxi; this will add 2-3 hours to your arrival. We can arrange a taxi to pick you up from Krabi Airport or Phuket Airport. You will be transferred to Ao Nang or Ao Nam Mao Pier (depending on the weather/season), where our long-tail boat will bring you to Railei Beach. If you book an arrival transport with us, a staff member will meet you on the beach to assist you with your luggage and show you to the office. If you arrive after our office has closed, our staff will bring you directly to your house. Traveling to Railei by long-tail boat is easiest at high tide. Those traveling with children and the elderly should make all efforts to do so, especially between May and October. Please see the Tide Chart for this information. **If you have a late-night lay-over in Bangkok we can recommend The Regent Suvarnabhumi Hotel or The Queen's Garden Resort, which are 5 minutes from the BKK airport. **If you would like to stay a night in Krabi Town, we recommend Dee Andaman Hotel. For transportation to/from Krabi Airport we charge 1,500 Baht (including taxi and boat, total for up to 7 people) between 8am and 5pm. Before 8am and after 5pm transportation is 2,500 Baht. We suggest arriving in Phuket no later than 2pm, or Krabi no later than 4pm, to ensure you will be at the beach before dark. For those guests arriving before 4pm, we can also arrange to have your driver bring you food shopping (Makro cash payment only, they do not accept credit card) before meeting the boat to Railei. This extra service is 600 Thb/waiting hour, with 1-hour minimum. **Please note that you will need to stay within the amount of time you have pre-arranged for shopping, otherwise there may be problems with the availability of the boat we have arranged to meet you, and you may have to come to Railei with a public boat. 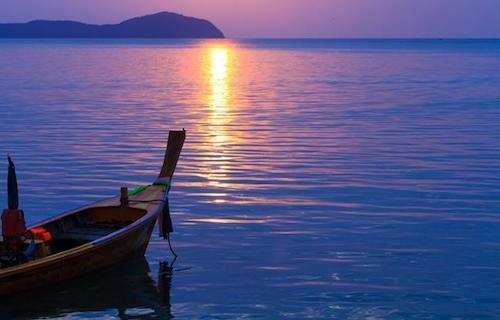 PHUKET: We can book a private speedboat for transfers from Ao Po Pier in Phuket to Railei Beach for 15,000 Baht. The trip takes 1 hour. By taxi from Phuket Airport to Ao Nang or Ao Nammao, then by long-tail boat to Railei is 3,500 Baht (surrounding Phuket beaches 3,800 Baht). The trip takes about 2.5-3 hours. In the high season only: There is a twice-daily ferry to/from Phuket Town and Railei/Ao Nang. 2 hours-650 Baht/pax, 450 Baht/child. There is a once-daily public speedboat transfer to/from Bang Rung Pier for 950 Thb/pax. Year-round, there is a 3-times per week (Monday, Wednesday, Sunday) public ferryboat service to/from Phuket Town and Railei/Ao Nang. 2 hours-650 Baht/pax. There is a once-daily public ferryboat transfer leaving Railei at 9.30am to Phi Phi. The ferry from Phi Phi direct to Railei (DO NOT GET ON THE FERRY TO KRABI TOWN) leaves at 3.30pm and arrives at Railei at 5.30pm. It takes 2 hours-450 Thb/pax. This service is year round. You can do as much or as little as you like, from massages on the beach to learning how to scale the surrounding limestone cliffs and everything in between. "Hidden Krabi" is a great website and service with off the beaten style, more personal trips and activities. They can book all trips and tours for you and are a good source of local info. You can book trips a day or so in advance. Pranang Beach is a 15- minute walk from RBC and is considered to be one of the most beautiful beaches in the world. Gorgeous, white, soft sand and crystal clear water surrounded by awe-inspiring limestone cliffs. At one end of the beach is the spirit house of a local legendary princess. A must see! West Railay Beach is at our doorstep – a few seconds from your house; and just as beautiful. You can rent snorkeling equipment and kayaks on the west beach. Snorkeling quality is mediocre off the beach due to the wear and tear over the years, and we recommend doing a tour offshore to see some good marine life. If you would like to book a dive - please see Railay Divers on the west beach or contact Scuba Addicts based on the mainland in Ao Nang. There are a couple of jungle trails around the Railay Peninsula. Ask the office for a map with details. The track to the viewpoint and lagoon is located on the path around to Pranang Beach. It is a 30-minute scramble up a clay mud path to a fantastic viewpoint and another 20 minutes down to the lagoon. Wear clothes you don't mind getting dirty! Railay is a mecca for climbers who visit from all over the world to scale the surrounding cliffs. There are several climbing shops -- prices are set between shops and they all offer half-day to 3-day courses from children & beginners up. We recommend Tex Rock Climbing at east Railay next to the pharmacy or Railay Rock Climbing Shop on West Railay (walking street). A great activity for the whole family. The Last Bar at East Railay has Muay Thai fights a few nights a week. 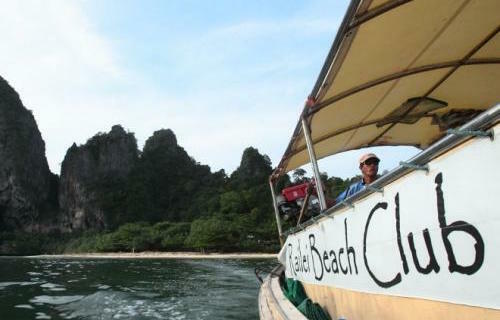 All tours listed below can be booked through all Travel Agencies on Railay open daily 8am – 9pm. Boat trips usually leave in the afternoon and include snorkeling & dinner at the 4 islands in front of Railay. Krabi eco-cycle is a great way to see local life in Ao Nang and the surrounding province for cycling enthusiasts. Half day and full day customized trips available. Day trips can be arranged through Hot Rock Climbers at East Railay. If you would like to visit an elephant camp on the mainland, Nosey Parkers are a reputable company and seem to look after their elephants, although if you are heading to Chiang Mai (you might) rather take the kids to the Elephant Nature Park. Deep Sea big game fishing usually occurs about a 90-minute cruise off the coast and can be booked by either big boat or long-tail boat. A day trip out to Hong Island that includes swimming and kayaking in their seawater lagoon. A guided day trip on the mainland to Krabi's hot springs and inland jungle areas. Afternoon sunset cruise by Siamese Junk "Pla Luang": An afternoon sunset cruise that leaves from the west beach at Railay, on a beautiful 100 year-old teak junk. Snorkeling & dinner included with a bar on board. A day trip to Phi Phi and the surrounding national marine park that leaves Railay at about 9am and returns at 3pm. Half day and whole day trips possible. About 90 mins away via the mainland. There are sea caves, natural lagoons, mangrove forests to be explored before passing by the tidal forest to observe many species of wildlife. Paddling by kayak is an ideal way to go touring past Ao Thalane's majestic cliffs. 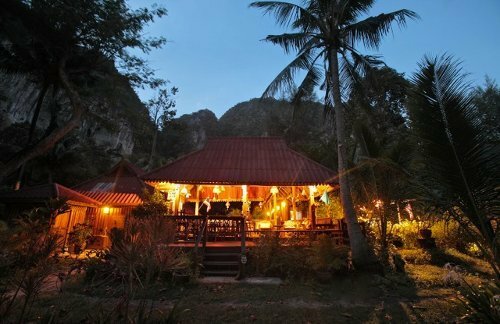 The cave is situated about 45 minutes from Railay on the mainland. The foundations of the temple date back to 1975 when a Vipassana monk named Jumnean Seelasettho went to meditate in the cave. During his meditation, he witnessed tigers roaming around the cave. This discovery led to naming the temple Wat Tham Suea, or Tiger Cave Temple. Another legend says that an actual huge tiger used to live and roam the cave. The naming of the temple also comes from discoveries of a tiger paw prints on the cave walls, and also the bulge of the cave resembling a tiger's paw. The temple has two short stairways that then merge leading to one single stairway leading to the summit with a total number of 1,272 small steps. Another set of stairways lead to a second limestone cave. Summit to the temple is 600 meters (1,968 feet). Monkeys often roam around the stairs and temple. Asian Trails organizes whitewater rafting trips. Whitewater rafting occurs year round on the Songpak River with 5km and 9km trips available. You can combine your rafting with 30 min, 1 hour or 2 hour Polaris ATV rides through southern Thailand's beautiful rainforest. Please ask for more information at reception. Krabi's local markets and sites by private van. Price depends on the duration of trip and distance. 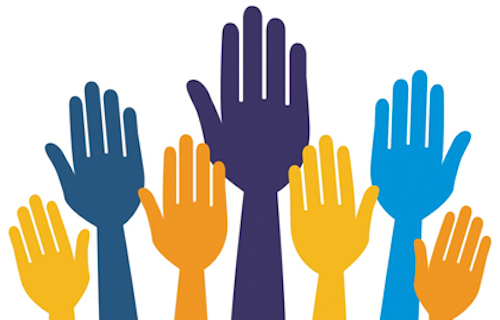 Please keep in mind that any large gatherings will be asked to respect the community in which they are celebrating their event by acknowledging a property-wide quite time after 11 pm. If the group prefers to continue celebrating we ask that you move the party to one of the bars on Railei outside of Railei Beach Club. Our private homes are not equipped with more furniture or kitchen supplies other than for the number of people the house accommodates. 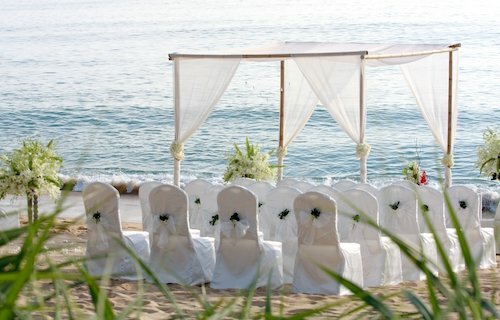 Therefore, for any special celebration within our property or at one of the homes, it is necessary for you to hire your own wedding coordinator to organize additional tables, chairs, flatware, dishes, glasses, etc. Can you arrange transport for us from Krabi airport? Yes. Please email or call us with your flight information 72 hours in advance. The cost for a taxi and boat for up to 7 people is 1,500 Baht total before 5pm, and 2,500 Baht after 5pm. For those arriving after 7pm between May and October, please make arrangements to stay in Krabi town and come to Railei the next morning. Yes, we have a laundry service for 100 Baht/kg. There are laundry bags located inside all our houses and rooms. Please bring the laundry bags to the office staff. Please allow 36-48 hours turn around time. You will be billed at check out. A BBQ grill is available to rent for use at your house. We can arrange to hire a staff member to prepare and cook the BBQ. We also have a Thai cook who can cook dinner at your house. For this service we will need notification by 4pm the day before. Does your service include cleaning dishes? We provide light housekeeping each day, and we do ask our guests to assist with cleaning their dishes. For larger dinner parties it is necessary to book a housekeeper to come wash dishes that evening. 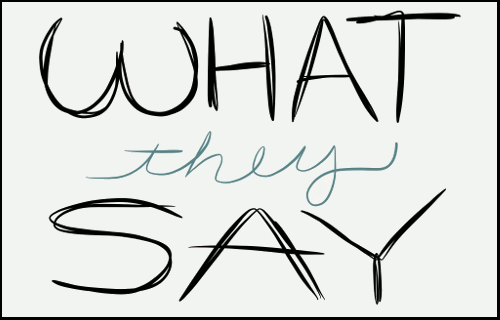 Our tap water is good for everything EXCEPT drinking, We provide plenty of fresh drinking water in your house and on the clubhouse deck. It is not necessary to buy any bottled water during your stay with us. Do you have a first aid kit at reception with plasters (band-aids), antiseptic cream, etc. or do I need to bring that along? We have very basic first aid supplies, but we recommend you bring your own. There several pharmacies and clinics on Railay. I believe one can purchase wine and beer at reception; are these at premium prices? We offer drinks for the same or lower cost than anywhere else on the peninsula. Our wine selection is among the best in Krabi (wines from New Zealand, France, Australia, Italy, Chile, and Argentina) Prices range from 1,000-1,500 Baht. Prosecco and Champagne 1,000-3,000 Baht. I believe that you are able to do shopping for us before we arrive; what type of groceries can we request and how long in advance do I need to send you list? We can send you our shopping list for you to fill out, upon request, or at any time while you're here. We need at least 24 hours notice for this service. We can get items that are available at the local outdoor markets (any of the ingredients Thais use in their food including a variety of fresh fruits, vegetables, meat, eggs, dairy products, and seafood). Some specialty western foods (cheese, cereals, sausages, hams, bacon, olives, etc.) can also be found at Supermarkets on the mainland. Are surrounding restaurants within walking distance? Yes, they are all within walking distance next to our property and along the beach. Anything from a 1-20-minutes walk. Is there any service where one can hire a cook for a night to come to your house and prepare a meal? Yes, we have a Thai chef who can come to your house to cook for parties of up to 10 people. We need at least 24 hours notice for this service. Do we need to book elephant trekking, cooking classes, speedboat trips inclusive of snorkeling or longboats ahead of time, or can we do it on arrival? You can easily make all of these arrangements after you arrive and settle in. Do you offer a Thai Cooking course? We do not offer a course on our property, however, you can book half day courses in Ao Nang through any travel shop, that will offer a pickup service from Railay. Is there snorkeling off Railei beach or do you need to boat out somewhere and could we hire snorkels etc for time period there? There best snorkeling a short boat ride from Railei. It is easy to rent snorkel gear locally and hire a long tail or speed boat to take you out. Or select from many group tours. Do you have baby cots available for hire? We have 3 baby cots (Pak'n'Plays from America) available for 500 Baht set up fee, including linens and mosquito netting. Rental is available on a first booked - first served basis. 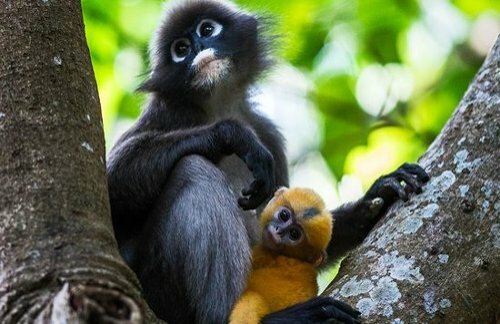 "Best hidden retreat in Thailand"
"It’s a superb, unique deal and a romantic location; book well ahead. In-house chefs prepare fresh Thai meals on request."